FlexWorks™ Dispenser Sumps are installed beneath fuel dispensers to provide access to and secondary containment of dispenser plumbing, emergency shear valves, and underground piping connections. Stabilizer Bar Kits are installed in FlexWorks Dispenser Sumps to provide reliable support for boss-mounted emergency shear valves. • Multiple Models – ensure a custom fit. • Structural Reinforcing on Large MPD Models – prevents sump deformation from backfill and high water table forces. • Light Color – preserves rigidity in sunlight before backfill and provides maximum visibility after installation. • Full Perimeter Liquid Collection Channel – facilitates quick leak detection and allows flexibility in locating leak sensors. • Integral Rain Lip – protrudes into the dispenser frame to prevent surface water entry. • Easy Installation – field height adjustment capability and large pipe entry area ensure installation flexibility. • Many Are Available in a Conduitless Model – eliminates conduit entry fittings and prevents a notorious leak point inside dispenser sumps. 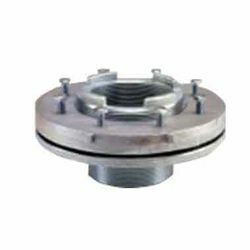 Our No-Bolt style mounting flange, model TFA-4090, is also used to mount FlexWorks tank sumps to 4" underground storage tank bung fittings and attaches to the bottom of the sump base to provide a secure and liquid tight connection. This model has compression studs for added stability and fast and easy installation with a socket wrench. 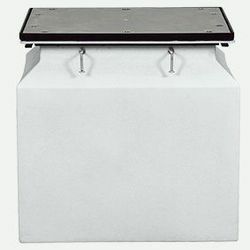 APT tank manway adapters permit tank sumps to be mounted directly to a tank's 22" or 24" manway. The AST above or below ground transition sump is the practical, environmentally sound solution for remote dispensing from aboveground storage tanks. 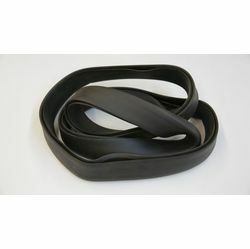 Steel and flexible piping enter the sump through the APT flexible entry boot. Inside the sump, the steel piping easily connects to flexible piping for a fueltight, continuous run to dispensers or an intermediate sump. •Transition sumps help meet environmental regulations by isolating metal piping from the soil. 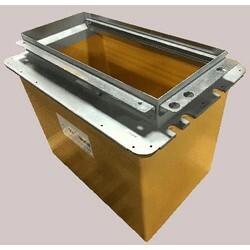 •Transition sumps can be installed either inside or outside containment dikes. •30" burial depth allows the transition sump to be used as the system low point for leak detection. 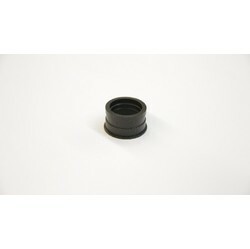 •Flexible entry boot provides a fueltight and watertight seal around the metal piping and flexible piping as it enters the sump lid and sidewall. •H-20 load rating. Pipe entries installed in lids negate the load rating. APT™ brand large mouth polyethylene dispenser sumps feature a two-piece modular design and large sump opening to provide easy installation and ample space for under dispenser containment. With a variety of sump lengths, two depth options, an assortment of top frame options, and field height adjustability, there is a solution to match virtually any application and provide complete compatibility with the industry's most popular dispenser models. •The ribbed riser can be cut down in 3" increments in the field to adjust sump heigh and achieve proper pipe slopes with respect to grade. •Available in medium (28") and deep(43") burial depths to properly maintain slope. 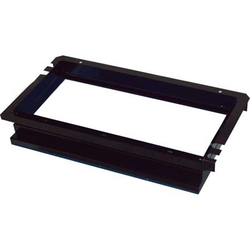 •22" wide by 24", 36", or 48" long opening on base gives plenty of room for boot, fitting and monitor installation. 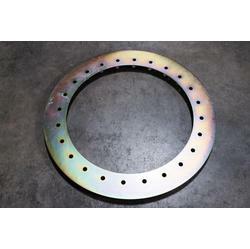 •The sump base widens to a spacious 26" where entry boots and pipe connections are made. 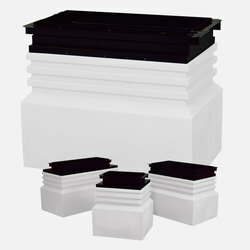 •Corrosion-resistant powder coated steel top frames provide durability and extended service life. 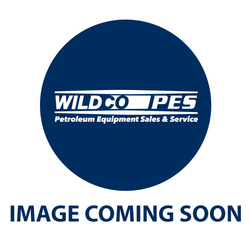 •Stabilizer bar kits (SBKs) mount into welded strut channels for shear valve mounting (one SBK is required for each shear valve and must be purchased separately).